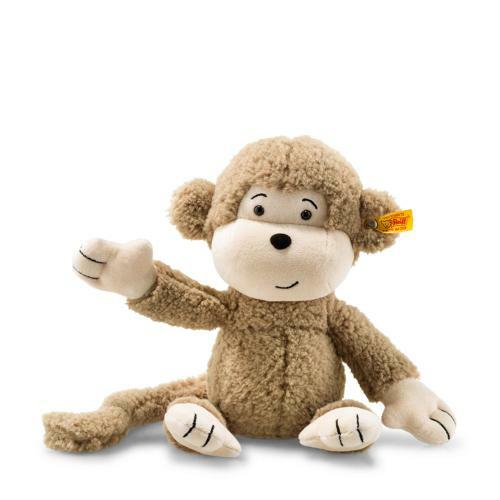 Soft Cuddly Friends Brownie monkey measuring 30 cm can climb anywhere. His mouth has such a beautiful smile and his raised eyebrows ask what the next adventure is going to be. He is so beautiful to grasp and touch. His face, hands and feet are made of short plush while his fur is made of longer cuddly soft plush. The different surfaces are great for baby to feel and touch to develop fine motor skills.